La Bloga will post three interviews with the creators of the new picture book Maybe Something BEAUTIFUL. Today is the interview with the amazing author and friend F. Isabel Campoy. I had the privilege to have her as my teacher when I was an aspire writer. 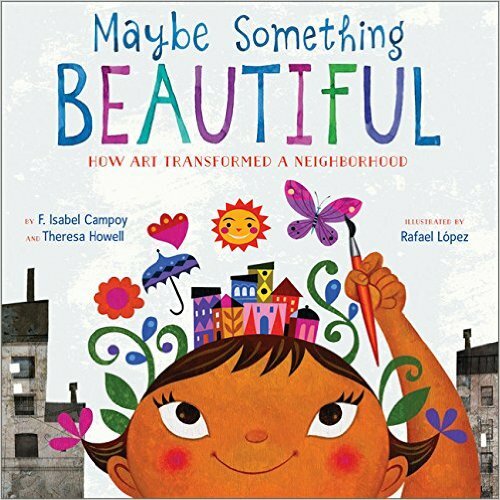 -Felicidades for the wonderful book Maybe Something BEAUTIFUL. What is this picture book about? When Theresa and I talked about this idea we knew that there was more than a story to tell. There was a beautiful effort from a community to create change. Change of how they saw themselves and their physical surroundings, change from single to plural, change from prose to poetry. It took years for all of us, authors, illustrator, agents, and publishers, to materialize the idea and create these pages that are no longer just a children’s story but evidence of the strength of will power. -I was lucky to have you as a teacher at the program “Authors in the Classroom.” I can see that the book touches the excellent elements of Transformative Education Process. Can you share with our readers. What is this process about? When you arrived to our classes you were already a seasoned author. And a very good at that, too. 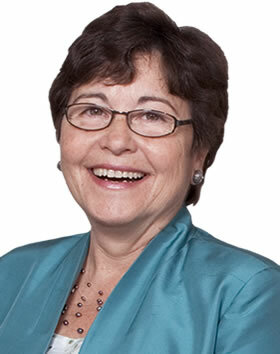 The course “Authors in the Classroom: A transformative Education Process” written with Alma Flor Ada, is a door to understanding self and others through writing, and doing something with that discovery, creating transformation. We provide a simple path to write about our names, about the heroes in our lives that nobody but us would publicly recognize in writing, to write the ABC of our communities, to say who we are and where we come from. The success of those stories written all over the world, are now shared in www.authorsintheclassroom.com. Everyone is the author of their life, and it is worth writing about it. -If you were Mira and had a paintbrush and wonderful colors, what would you create? Like them we have roots that hold us firm in our culture and language, in family and knowledge. Like them we have a cycle of life, fruits for new generations. Our branches hold the joy of growth, our leaves, the beauty of seasons. -Mira in the story dreams of a colorful neighborhood. What did you dream as a child? -What is the message of the book for children of all ages? Mira means “Look”. I think that if we look for ways to transform our realities into something better, more joyful, beautiful, happier, we will win the contest of “The Meaning of Life”, and have lots of fun in the process!